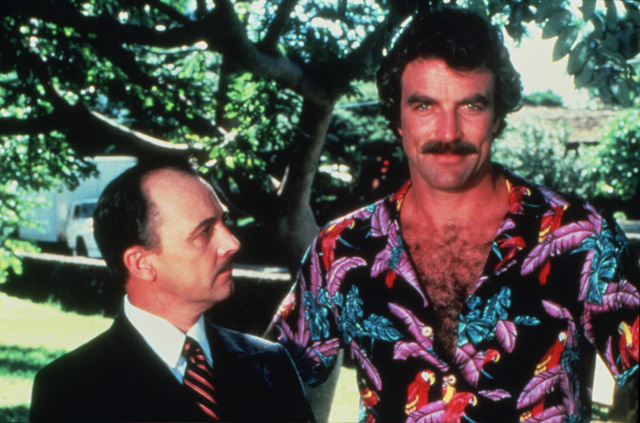 10 Things You Might Not Know About MAGNUM, P.I. | Warped Factor - Words in the Key of Geek. 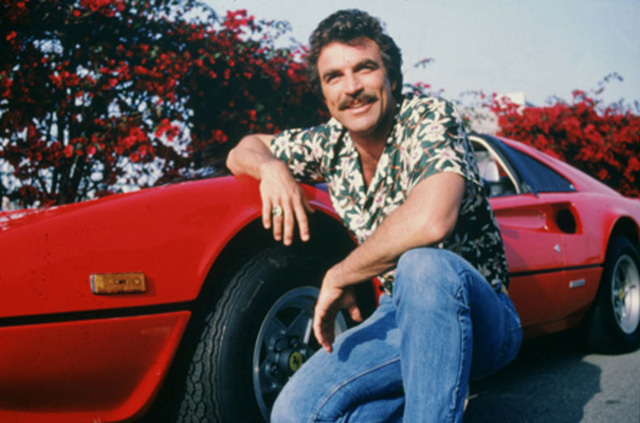 10 Things You Might Not Know About MAGNUM, P.I. With a reboot on the horizon, Geek Dave dons an Hawaiian shirt and does that eyebrow thing. 1. Hawaii Five-O had been a huge hit for CBS, running for 12 years from 1968. But with the series scheduled to end in the Summer of 1980 the Eye Network began looking for a show that could replace it and also be filmed in Hawaii, because they were keen to keep their Hawaii production offices open. In came Glen A Larson and Donald P Bellisario, co-creators of Magnum, P.I., and the series was scheduled to start production almost immediately after Hawaii Five-O shut down. 2. In the pilot episode of Magnum, P.I. the show recognised the existence of the fictional elite state police unit that appeared in the series Hawaii Five-O. Magnum also references the unit's chief McGarrett by name. Further occasional references to Steve McGarrett and Hawaii Five-O were featured, and the producers did try to bring Jack Lord in to guest star in an episode. Unfortunately Lord's deteriorating health, and onset of Alzheimer disease, kept that from happening. 3. 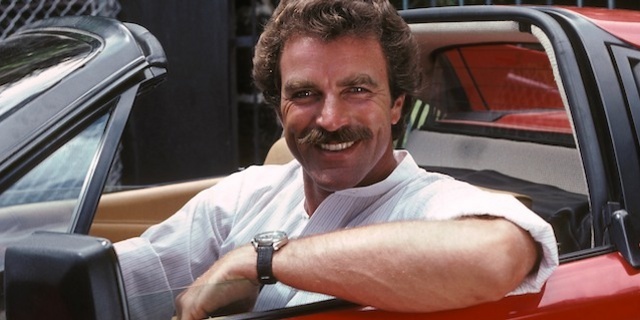 Tom Selleck has said that when he was first approached to play Thomas Magnum, in late 1979, the character was initially written as a "James Bond of television, visiting stewardess on each arm, flawlessly perfect" kind of character, which Selleck hated. By his own admission, he told the writers and producers "I'm tired of playing what I look like." When asked what he wanted to do, Selleck remembered how much fun he had working with Jim Garner on The Rockford Files, where he had guest starred twice as the character Lance White. Selleck suggested making Magnum more like Jim Rockford - a laid back, blue collar average Joe. His rationale was that if men watched the show and were able to identify with him, it would bring in even more male viewers. The writers and producers initially refused, and so Selleck decided to pass on the role. 4. Around this time Selleck auditioned for the lead role in Raiders of the Lost Arc. Whilst he was doing so the Magnum P.I. production team were coming around to his way of thinking, and rewrote Magnum as the "approachable, charming jock character" that Selleck had wanted. Selleck had impressed Spielberg and Lucas and was their first choice for role of Indiana Jones. However the offer came just days after Selleck had signed on as Thomas Magnum, meaning his commitment to the TV series left him no choice but to decline the part, as with filming due to start on the show in late March 1980 he would not be available. 5. Selleck's contract commitment to Magnum, P.I. costing him the role of Indiana Jones is quite well know, but what you may not be aware of is that he could've played the part of Indy after all. The AFTRA/Screen Actors Guild strike of 1980 delayed the start of production on Magnum, P.I., meaning that rather then the scheduled late March 1980 start date, the show didn't go in front of the camera until the Autumn of that year. Raiders of the Lost Arc began filming in June and was over before Thomas Magnum ever sat in that Ferrari 308 GTS. 6. Talking of the Ferrari, it had to be specially modified for 6'4" Selleck. The padding was removed from the seats so he could sit lower in the car, and the seats were bolted as far away from the steering wheel as possible to maximize the leg room. Even with these modifications you can still see that Selleck's head is higher than the top of the front windshield frame! This is why you rarely saw him drive with the top up. 7. Magnum, P.I. pulled off a couple of strange two-part crossover episodes - one with Simon & Simon, and another with Murder, She Wrote. In both cases the first half of these crossovers (which was the Magnum episode) had alternate endings filmed, of no more than 2 or 3 minutes, which wrapped the story up in a single episode. This was done to allow repeat airings to be shown as "stand alone" stories instead of being two-part crossovers, but essentially it meant that everything in the second hour was kinda pointless filler! 8. Several other crossover events were planned for the series (it was the 80s, they were keen on that type of thing). Tom Selleck himself championed an episode with James Garner as Jim Rockford, but the producers were unable to resolve rights issues. In 1985 a crossover with the Edward Woodward series The Equalizer was planned but ultimately never finalised. However the very best Magnum, P.I. crossover ever nearly took place several years after the show finished. Donald P Bellisario went on to create Quantum Leap, and he wrote a script that would see Dr Sam Beckett leap into the body of Thomas Magnum! Both John Hillerman and Roger E Mosley were approached to reprise their characters of Higgins and TC, with Tom Selleck also on board for a cameo. Sadly the script is now filed away in a draw of ideas that are just too awesome for television. 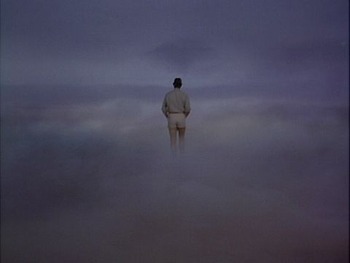 ...CBS had renewed the show for an eighth season before production began on this episode, but the producers still decided to run with this idea and leave Magnum walking off into the clouds because they knew they would be bringing him back in the first episode of the next season. However, many TV listing magazines stated that Limbo was the series finale. Fans complained about the bizarre storyline, and demanded a more satisfactory ending. In a classic moment of television spin, CBS played up the outcry and claimed that the fans had saved the series. When the show returned for it's eighth season Magnum miraculously regained consciousness from the coma he'd been in all along. 10. In the early 1990s Tom Selleck attempted to get a theatrical film series of Magnum, P.I. off the ground. He'd met with Tom Clancy (he of The Hunt For Red October / Jack Ryan stories) who was a big fan of the show and had a concept for a film (featuring all the original cast) that would see Magnum returning to the Navy. "We got together, and I went to Universal, and I said, 'It's time we could do a series of feature films.' They were very interested, and I had Tom, who wanted to do the story, and I had this package put together, but Universal's the only studio that could make it, and they went through three ownership changes in the '90s, and I think that was the real window for 'Magnum'." 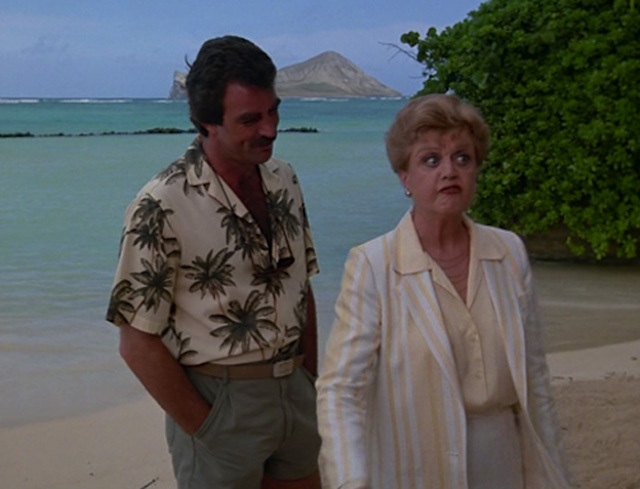 Would Selleck ever don the Hawaiian shirt again? "If they did a "Magnum" movie, I think it's been pretty clear — because I've heard rumors there were scripts and all — I don't think they see me doing it. But he'd be fun to revisit."